How do you start your mornings? Mine always start with a double shot of espresso and a splash of half and half. 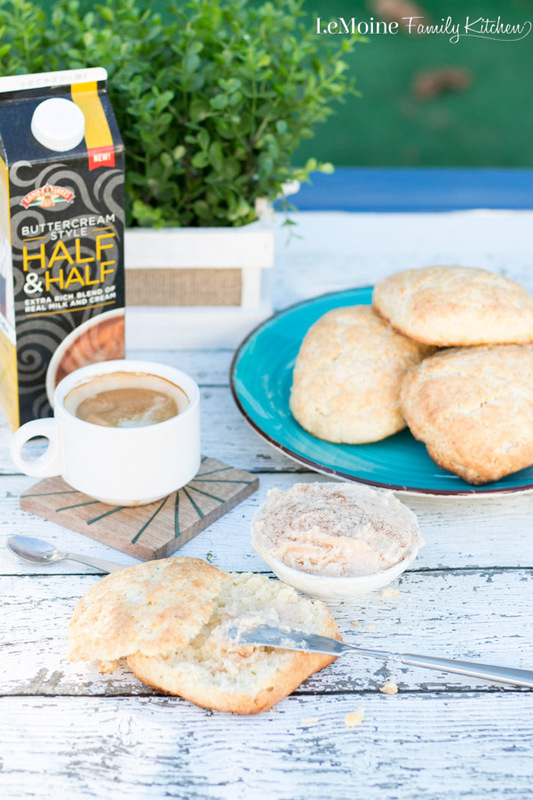 Recently I had the chance to try the new Land O’Lakes® Buttercream Style Half & Half not only in my morning espresso but I used it in my recipe for this perfect Sweet Biscuits with Honey Cinnamon Butter. So delicious and the perfect cool, crisp Fall morning pairing.